Viknesh Vijayenthiran January 31, 2019 Comment Now! BMW has just launched a new generation of its 8-Series but this time around there will be more body styles than just a coupe. 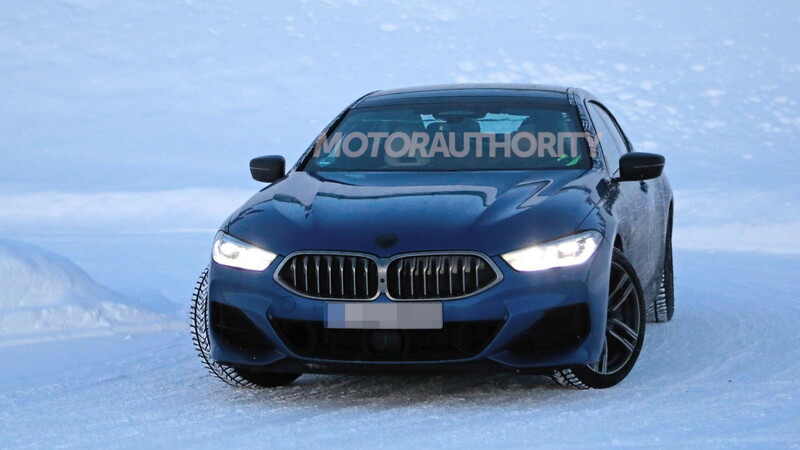 We've already seen the covers come off an 8-Series Convertible and now we have revealing shots and video of a tester for the 8-Series Gran Coupe undergoing cold-weather testing on public roads. Despite the coupe in the name, the 8-Series Gran Coupe is actually a liftback sedan. It's due on sale in late 2019 as a 2020 model and will fill the void of the 6-Series Gran Coupe that BMW recently phased out. Alternatives include the Audi A7, Maserati Ghibli, Mercedes-Benz CLS, Mercedes-AMG GT 4-Door Coupe, and Porsche Panamera. 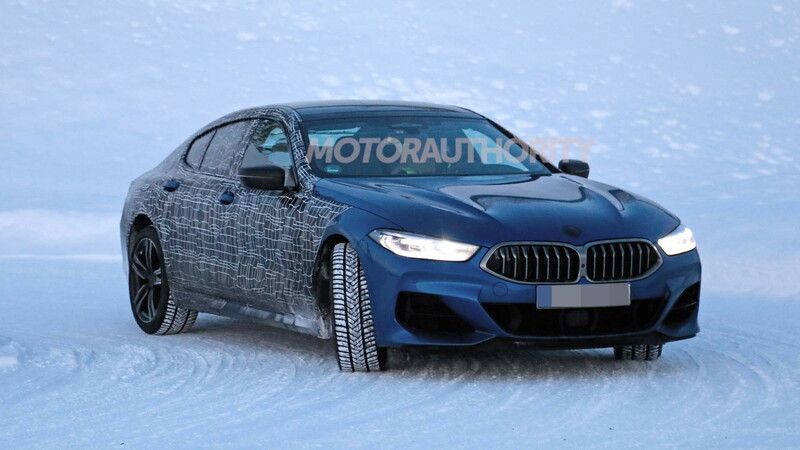 2020 BMW 8-Series Gran Coupe Spy Video from Motor Authority on Vimeo. We got a preview of the design in March with the unveiling M8 Gran Coupe concept. 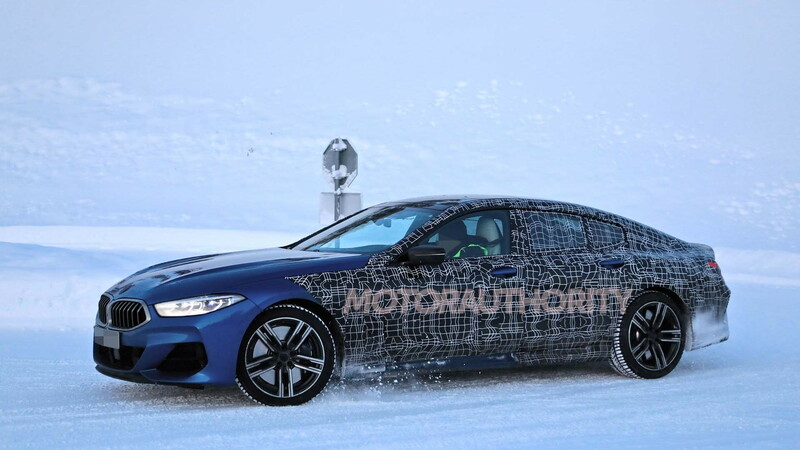 Yes, an M8 version of the 8-Series Gran Coupe will be launched alongside the regular model. A patent drawing of the regular model surfaced in June. Like the 8-Series coupe, the 8-Series Gran Coupe looks to feature a low roof and wide, muscular shoulders. Those wide shoulders should mean buyers will be able to add a three-seat bench in the rear. The design of the cabin will be standard BMW fare, though to the highest levels of craftsmanship. Digital screens will serve as the instrument cluster and infotainment hub and on the center console will sit the gear lever and a rotary-dial controller. A photo of the 2019 M850i xDrive coupe's interior below shows what to expect. The platform is the CLAR modular design that debuted in the 2016 7-Series. 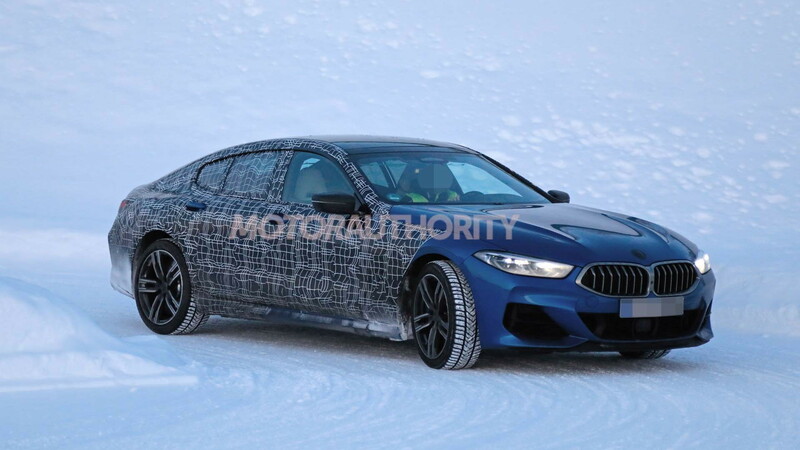 Its multi-material construction is meant to help shed weight but the 8-Series coupe weighs a hefty 4,478 pounds in M850i guise and the 8-Series Gran Coupe will likely be even heavier. The platform also brings compatibility with electrified powertrains. 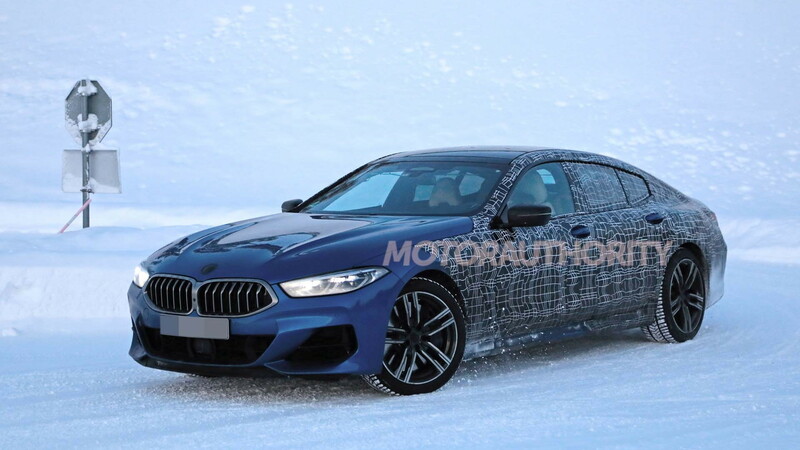 It's not clear what powertrains will be offered at launch but you can count on the same 523-horsepower, 4.4-liter twin-turbocharged V-8 found in the M850i coupe. A 3.0-liter turbocharged inline-6 will likely be added as an entry-level option at some point, while the M8 will get a version of the M850i's V-8 with over 600 horsepower. A plug-in hybrid option is also expected. Pricing will start above $100,000. The 2019 M850i xDrive coupe starts at $112,895, and the Gran Coupe body style should sell for more.